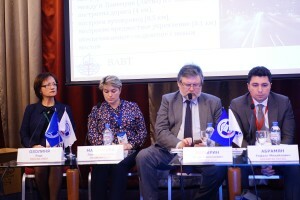 On 24-25 October 2016 the 15th All-Russia Forum “Strategic Planning in the Regions and Cities of Russia: Building Alignment through Dialog” took place in St.Petersburg, Russia. The role of the international and cross-border cooperation in strategic planning and development has become one of the focal points. The Round Table 4.2. “Brainstorm. Russia-Estonia Interregional Relations: Growth Area” was co-chaired by Rafael Abramyan, Director of the Department for Development of Interregional and Cross-Border Cooperation, Ministry of Economic Development of the Russian Federation and Margarita Golovko, Head of the European Territorial Cooperation Unit, Ministry of Finance of Republic of Estonia. 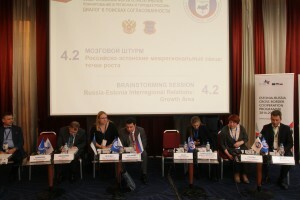 The participants of the Round Table analyzed the cross-border cooperation best practices between Russia and Estonia and discussed new approaches and perspectives of regional and cross-border development of the two countries. The Round Table discussions resulted in elaboration of the joint action plan. Unda Ozolina, Head of the Joint Technical Secretariat of the Estonia-Russia Cross-Border Cooperation Programme 2014-2020, informed the audience about the state of play and future plans of the Programme.